Walt Kelly’s efforts to win a $36 million wrongful conviction settlement for the man at the center of the Making a Murderer saga exposed egregious actions by law enforcement. 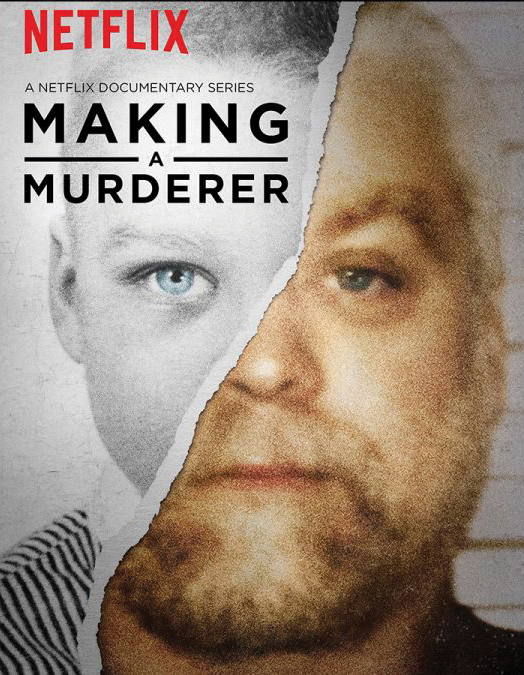 But on the eve of an expected victory, Steven Avery was accused of another violent crime. This time the question of who was lying and who was speaking the truth may never be put to rest. Walt Kelly ’68 didn’t have a starring role in Making a Murderer. 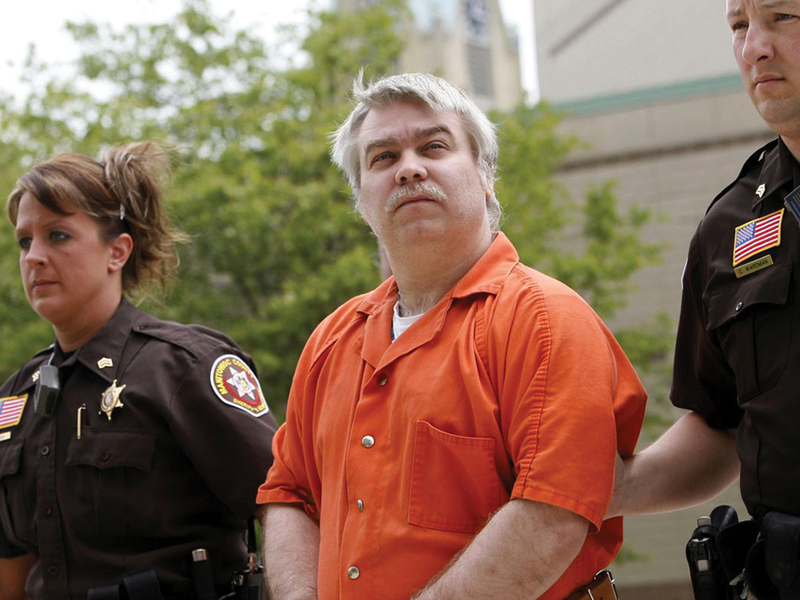 He wasn’t a player in the sexual assault case that sent Steven Avery—an innocent man—to prison for nearly two decades. Nor was he involved in that same defendant’s subsequent murder trial and conviction following his exoneration from the assault verdict. Rather, Kelly’s part in the saga that spawned the documentary Forbes magazine dubbed “Netflix’s most significant ever,” was about making amends. Kelly represented Avery in a civil suit during a short-lived but symbolic oasis of legal and ethical recompense sandwiched between two bitterly contested criminal cases. The streaming documentary Making a Murderer chronicles the story of Steven Avery, who had a relatively low-key criminal record and lived on the lot of his family’s auto salvage yard in rural Wisconsin. Convicted of first-degree sexual assault in Manitowoc County in 1985, Avery spent eighteen years behind bars before being exonerated by DNA evidence in 2003. Enter Walt Kelly, well known in civil liberties circles, who would become half of the two-man team that Avery chose to represent him in a $36 million wrongful conviction civil action. The lawsuit was filed in 2004 and within a year, the plaintiff’s legal team had Manitowoc County against the ropes. Case files and depositions clearly demonstrated gross misconduct by the former district attorney and retired sheriff in their push to secure Avery’s 1985 conviction. In 2005, with his lawsuit poised to commence, Avery was arrested for the murder of a photographer who was last seen on his property. 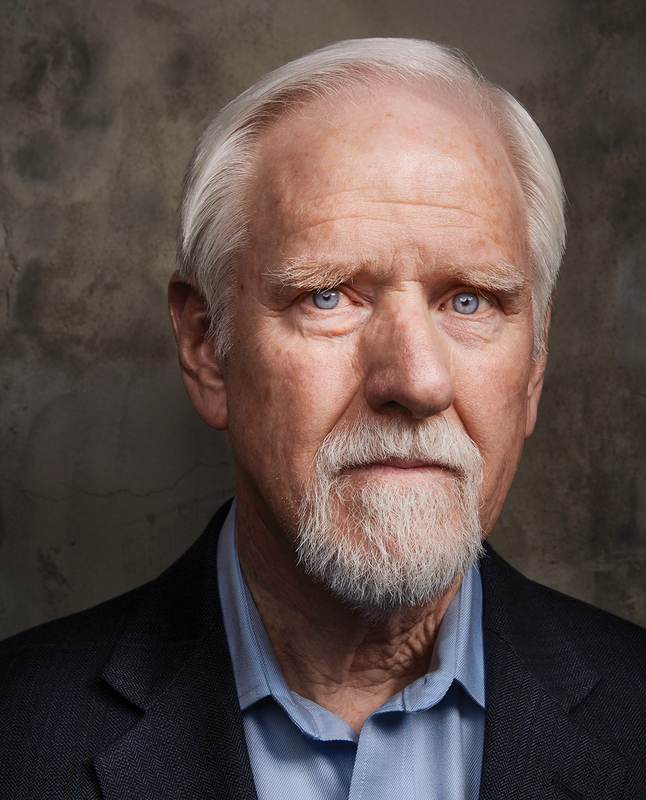 His wrongful conviction case fell apart. 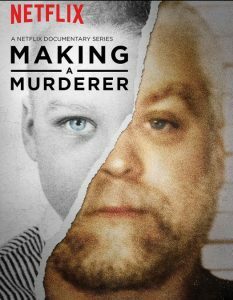 The documentary indicates that a vindictive and dishonest police department may have framed Avery because of the pending lawsuit. Kelly’s trajectory to accompanying Avery to the doorstep of a likely civil victory in 2005 was seemingly random. But in many ways, Walt Kelly was predestined to end up as Steven Avery’s lawyer. Kelly was well into his fourth decade as an attorney when he took Avery’s case. He was eminently qualified, except for one rather conspicuous fact. He had never represented a wrongfully imprisoned criminal defendant before. In this particular forum, he was—and remains—a rookie. “Steven’s [post-]exoneration case is the first and last exoneration case I’ve done,” Kelly confirms, sounding as if he himself is still somewhat surprised by the detail. Be that as it may, by the time he accepted Avery as a client, Kelly was deeply familiar with ACLU and civil rights issues. He also knew staff at the Wisconsin Innocence Project, which had secured the DNA testing that proved Avery’s innocence in the sexual assault case. Kelly had previously won a well-publicized police and DA misconduct lawsuit just a ninety-minute drive from the county line in Manitowoc. A poster from the Netflix series on Steven Avery. Joe Goldberg, a former BC classmate, insists that Kelly’s status as a wrongful-conviction neophyte wouldn’t have sent him, Goldberg, in search of alternative counsel had he been in Avery’s shoes. Avery’s 1985 conviction was vacated via unequivocal DNA evidence in September of 2003. By then, Gregory Allen, the actual perpetrator of the assault on the woman named Penny Ann Beernsten, was already serving a sixty-year sentence for his conviction in a 1995 sexual assault. Before taking on Avery’s civil lawsuit, Kelly enlisted some help. 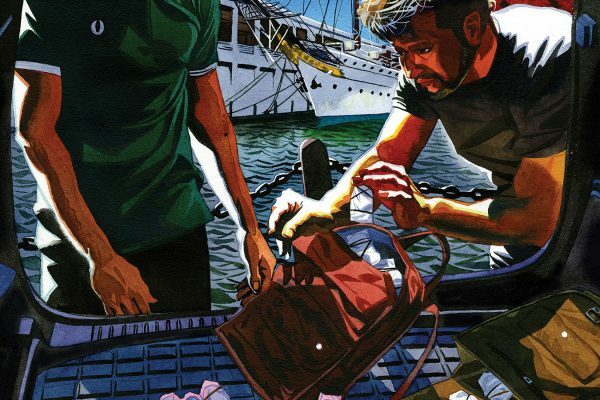 He didn’t have an active criminal practice at the time, and that made him uncomfortable. He called Steve Glynn, a friend and Milwaukee-based criminal defense attorney with a long record of representing clients he believed to be falsely accused of crimes. Unbeknownst to Kelly, Glynn had represented Avery almost ten years earlier in the first of two post-conviction attempts to use DNA evidence to prove his innocence. With the legal team in place, the objective was clear. As Kelly notes, the core of the lawsuit would be built upon section 1983 of the US Code, which applies to deprivation of rights secured by the Constitution. Job No. 1 in crafting the suit was pouring through a mountain of documentation. The existing record was enormous and everything had to be reviewed: the entire criminal proceeding from 1985 in addition to the post-conviction efforts to secure Avery’s release prior to his exoneration, as well as records compiled by the Innocence Project. Kelly and Glynn decided to withhold filing a suit for damages until the completion of an ongoing investigation into Manitowoc’s handling of the Avery case by the Wisconsin Attorney General. Former Attorney General Peggy Lautenschlager’s fourteen-page findings concluded there was “no basis to bring criminal charges or assert ethics violations against anyone involved in the investigation and prosecution of [Avery].” The document was released in December of ’03, just weeks after Avery was set free. The surprising outcome was a blessing in disguise. As part of the discovery for Avery’s lawsuit, Kelly and Glynn got access to all the investigatory reports that formed the basis of Lautenschlager’s decision. Before Avery’s legal team had deposed a single witness, there was an arsenal of ammunition from the AG’s office supporting a section 1983 claim. Meanwhile, Avery’s story had entered the national consciousness and Avery himself had become a statewide symbol of a broken criminal justice system in need of repair. Ultimately, Kelly and Glynn deposed almost forty witnesses on Avery’s behalf. Each set of testimony was more damning than the last and supported the allegation that Avery had been the victim of aggravated constitutional violations. Legally speaking, it was a bloodbath. As the discovery period progressed in Avery’s civil suit, two moments in particular sent a charge through his attorneys. 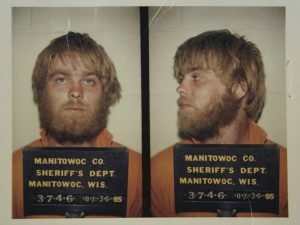 First, they elicited testimony revealing that Manitowoc County detectives had begun round-the-clock surveillance of Gregory Allen two weeks before the sexual assault on Beernsten in 1985. However, surveillance of Allen was temporarily suspended on the day of the assault because police resources were redirected to another case. What’s more, Beernsten continued to receive threatening phone calls after Avery’s arrest, which county sheriff Tom Kocourek dismissed as immaterial. Worst of all, just days after Avery’s arrest, a Manitowoc County detective informed Kocourek that Allen was not under surveillance when the attack occurred, and it was likely that the wrong man was in custody. The detective was told to steer clear of matters outside his jurisdiction. A second high point during discovery was equally incriminating. Beernsten had identified Avery as her assailant using an image array of suspects. But deposition testimony confirmed that the sheriff’s department had used a booking photo of Avery to generate its forensic composite drawing. Mug shots of Steven Avery in 1985. The misstep? The mug shot that inspired the drawing was taken in January of 1985, and Avery’s appearance at that time was dramatically different from how he looked when he was arrested in July. Meanwhile, the department possessed and was aware of a 1983 booking photo of Allen that looked a lot like Avery’s composite drawing, but omitted it from the image array Beernsten reviewed. When Kelly and Glynn filed Avery’s lawsuit on October 24, 2004, the dollar demand wasn’t arbitrary. Using a survey by the Innocence Project of wrongful conviction exoneration awards, along with other recent data from across the country at the time, Avery’s lawyers did their best to extrapolate. The grand total: $18 million in compensatory damages for targeting, personal hostility, and obstruction of justice, along with punitive damages of an additional $18 million. The math involved a little alchemy (and helped to set precedent) since these were the early days of DNA exoneration cases and associated lawsuits. Kelly explains how the team arrived at $36 million. At this point, the case was essentially all but over. Except for the payout. Attorneys Kelly and Glynn deposed witnesses on Steven Avery’s behalf. Each set of testimony was more damning than the last and supported the allegation that Avery had been the victim of aggravated constitutional violations. Legally speaking, it was a bloodbath. The goings-on behind the scenes in Manitowoc County at the time affirmed Kelly’s optimism. Throughout the pretrial phase, the county looked at every insurer it had a relationship with and which among them might qualify as a potential indemnifier, then made a tender of defense to each of them. “It was dramatic,” recalls Kelly. Avery’s lawyers completed a particularly revealing deposition supporting their claim in late October of 2005. A few days later, on Halloween, Wisconsin photographer Teresa Halbach disappeared. Her last known destination was the Avery salvage yard to photograph a vehicle for Auto Trader magazine. A swift investigation followed, featuring striking discoveries and bizarre investigative phenomena (this is the part where you have to watch the show). Avery was arrested in November and pretrial testimony produced enough evidence for him to be held for trial. Predictably, Avery’s civil case unraveled. 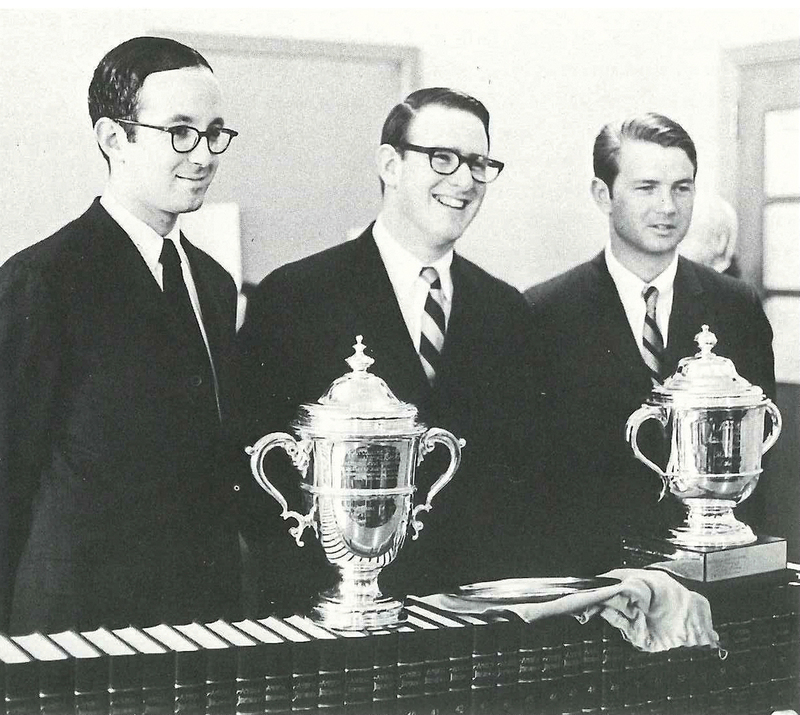 In 1968, Walt Kelly, center, after BC Law’s first National Moot Court championship. In December of 2005, Avery accepted a settlement with Manitowoc County for $400,000. He needed the money to foot the bill for his new criminal defense team. The county accepted no fault or liability regarding Avery’s 1985 wrongful conviction in the deal. All told, Avery received just over $22,000 in annual compensation after serving eighteen years for a crime he didn’t commit. On June 1, 2007, Avery was sentenced to life in prison for the murder of Halbach. 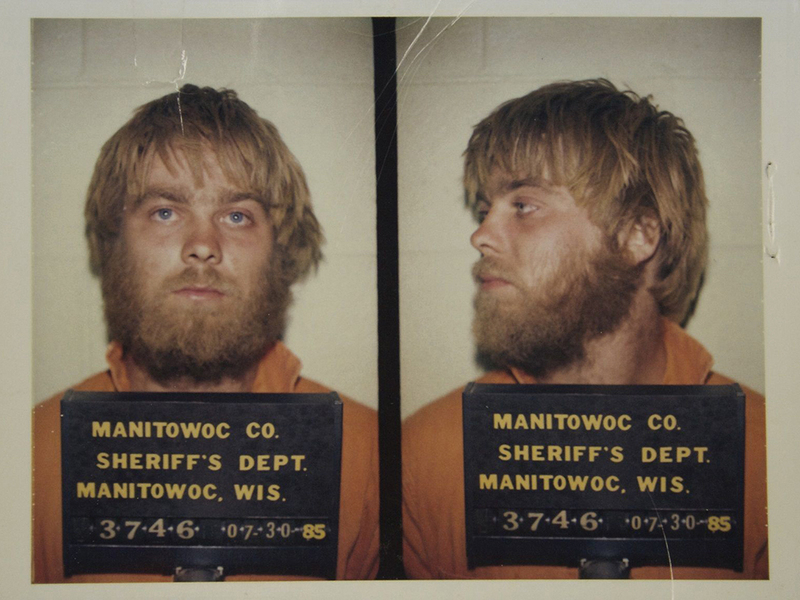 And what of Steven Avery’s fate? In a broader sense, the sudden turn of events in Avery’s lawsuit can’t diminish the worth of cases Kelly has made a habit of taking on. Kelly is a Newton native, the son of a litigator who transitioned to business and became CEO of a General Electric subsidiary. 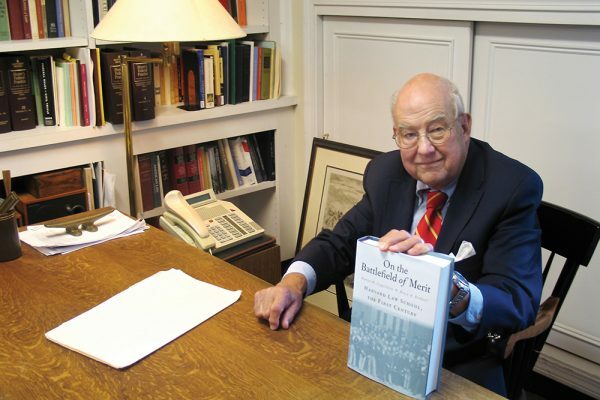 Kelly’s dad was from “that generation of Irishmen who cracked the barrier at Harvard College and Harvard Law School.” Predictably, the law was a regular topic of conversation around the dinner table. As a consequence, Kelly arrived at BC with a deep-seated respect for the law. But those influences could not have shaped the course of Kelly’s career if not for a certain confluence of events. First, Robert Drinan, SJ, was dean of the law school when Kelly was a student. A Catholic priest, Father Drinan was a member of the Massachusetts Bar, owned a doctorate in theology, and was later elected to the US House of Representatives. He was educated and iconoclastic. A colossal role model. The cultural milieu of that time was equally compelling. Kelly entered law school two years after President Kennedy’s assassination and the same year Lyndon Johnson sent the first American combat troops to Vietnam. Weeks before Kelly graduated, Martin Luther King Jr. was killed, and shortly afterward, Robert Kennedy met a similar fate. Meanwhile, Kelly’s tenure at BC also coincided with the Warren Court’s transformation of the American legal landscape. Kelly scored a clerkship with the late US District Court Judge Raymond Pettine in Rhode Island. A Johnson appointee, Pettine once said the Constitution should be interpreted in ways that “give meaning to the heart and soul of what it’s all about: a kinder, more understanding Constitution that recognizes the disenfranchised, the poor, and underprivileged.” For Kelly, it was a match made in heaven. When his two-year stint with Pettine ended, Kelly took a job as a trial attorney and spent a year in the private sector before joining the administration of newly elected Wisconsin governor Patrick Lucey. Kelly served as Executive Director of the Wisconsin Council on Criminal Justice under the governor, a state and federal revenue-sharing program for improving the criminal justice system. Lucey, who died in 2014, was a hard-nosed progressive who once summed up the essence of his political success by quoting a volunteer: “The big shots are against you and the little shots are for you. But there are a lot more little shots than there are big shots.” Clearly, during Kelly’s two years in the state capitol, another critical building block of his professional raison d’être slid into place. Steven Avery entering court in 2007 for sentencing after his murder conviction. 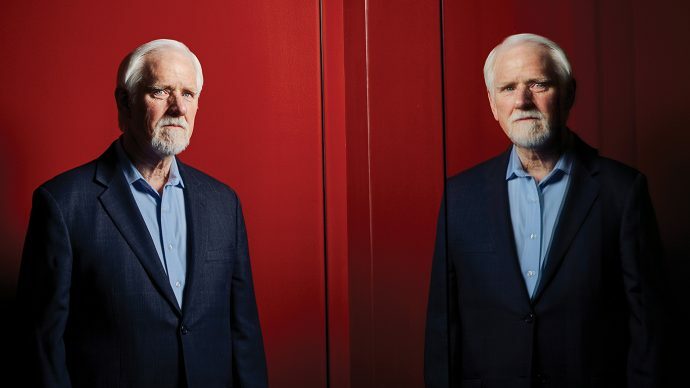 He began practicing law again in Milwaukee in 1973, ultimately becoming a partner in a labor and employment trial and appellate practice, where he spent seven years before becoming a partner in his own practice, Sutton & Kelly. In 1994, he opened the solo practice that he maintains to this day. His current Milwaukee-based firm focuses on general trial and appellate work, emphasizing employment and labor law, trade regulation, civil rights, and discrimination. By the time Avery hired him, Kelly owned considerable civil liberties bona fides, having spent more than a half-decade in consecutive terms as Chairperson of the Board of Directors of the Wisconsin American Civil Liberties Union, and as the Wisconsin Representative to the ACLU’s national Board of Directors. 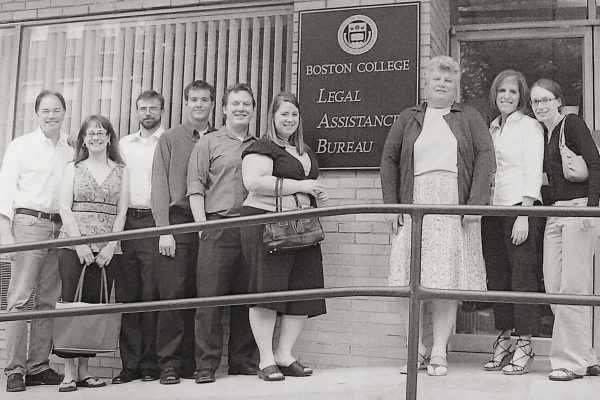 “My early and continued trial and appellate work in labor was an invaluable experience,” says Kelly. “It definitely informed my approach to civil rights, and it informed my approach to the Avery case.” The release of Making a Murderer this past December thrust Kelly’s representation of Avery and the criminal proceedings that followed into the national dialogue. Soon, Professor Bloom was inviting Kelly to BC Law to discuss the case and Kelly brought along Avery’s criminal defense attorney Dean Strang. 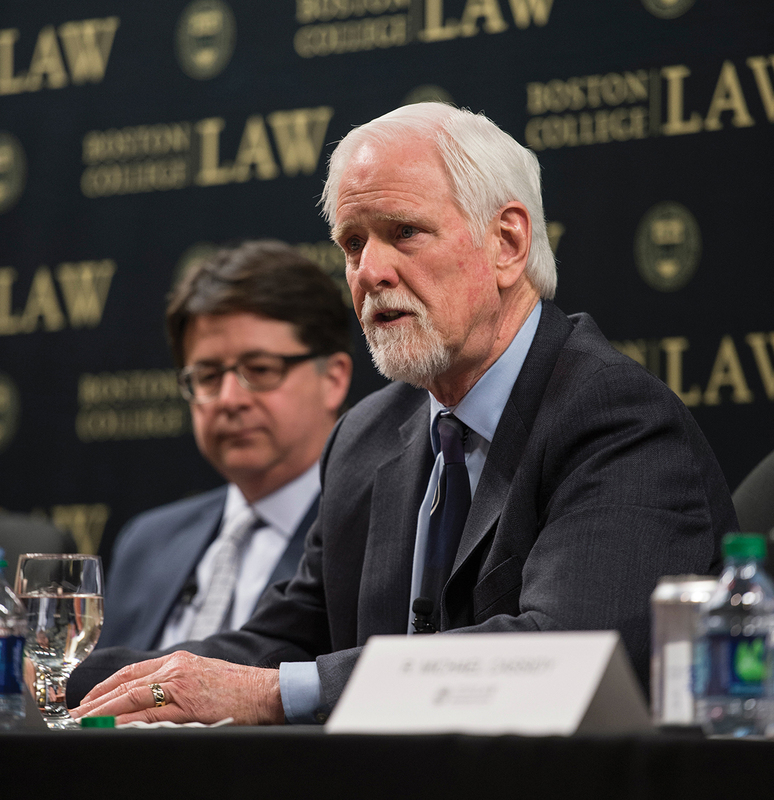 Walt Kelly at BC Law in 2016. 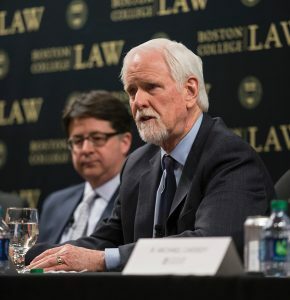 “I think Walt is an excellent example of what we call a reflective practitioner,” says BC Innocence Program Director Sharon Beckman, who is also co-director of the Boston College Criminal Justice Clinic and planned the Kelly/Strang visit with Professor R. Michael Cassidy, faculty director of the Rappaport Center for Law & Public Policy. Chad Konecky is a regular contributor to BC Law Magazine. His most recent article was “No Biz Like Showbiz,” about Netflix senior counsel Joel A. Goldberg ’92.